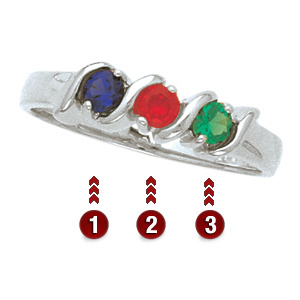 The Rewards of Romance mother's ring has three simulated round birthstones and is made of 14k white gold. Stone size: 3mm. The ring measures about 4.5mm at the top center. Standard fit. Made in USA.